Ice skating is a fun and relatively inexpensive sport. Whether you buy yourself a pair of ice-skates or rent them, they will be the only equipment you'll need, other than a warm winter outfit. With your own skates, or separate rentals, you can skate for free at any state park on water where skating is allowed. Alternatively, you can find relatively cheap admission to many ice-skating rinks. Rental costs are sometimes even included! With a little practice, anyone can get the hang of and enjoy a fun ice-skating outing. 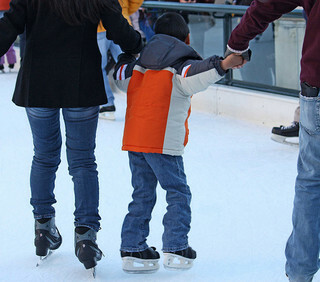 Find an ice-skating rink near you. Search for more ice-skating locations nearby. Ice-skate on Presque Isle's bay or at the Waterworks ponds. 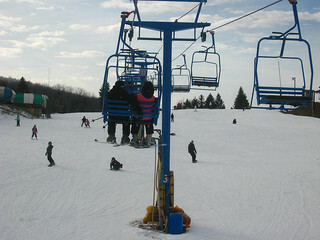 Or choose another Pennsylvania State Park where skating is allowed. Nature takes on an entirely new beauty when there's lots of snow on the ground, but hiking through it can be more of a chilly chore than a pleasurable time. Walking over the top of the snow makes getting out and enjoying the winter landscape both easy and fun. As with most other winter equipment, you can buy your own snowshoes for use every year, or rent them from places like Asbury Woods. You can even make your own using things around your house and yard! ...or anywhere where there is snow! 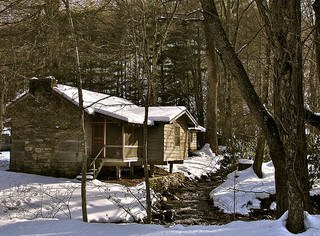 While winter camping out in the woods requires special camping gear meant to keep supplies and campers safe and warm, renting a winter cabin or cottage can provide many of the amenities of home while saving on gas and time for extended nature outings. The Erie area is a treasure trove of natural gems all year long, but not many get out to see them outside of the spring and summer seasons. Fortunately, all it takes is a warm outfit and a good winter coat to get out and enjoy the new sights that the winter season brings every year. Also, try visiting the Tom Ridge Environmental Center's 75 foot fall enclosed observation tower to enjoy the view! 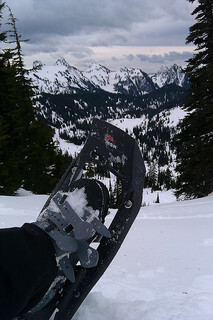 Avid skiers waits all year long for the chill and the fluffy white stuff. While skiing takes a little time to learn, most ski resorts offer classes with talented instructors to have you and your friends or family on the slopes in no time! 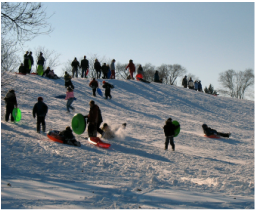 Sledding and tubing are winter classics for all ages. Experience the rush of flying downhill the soft snow and laugh along with friends and family when you take a spill. Who says you can't have a picnic in the winter time. Even on a chilly day if the skies are clear and the sun is out, it's the perfect time to spend some time together. Just Don't forget a thermos of hot soup or cocoa! We spend so much of our time in the winter complaining and avoiding the weather that we forget just how beautiful Erie in winter can be. 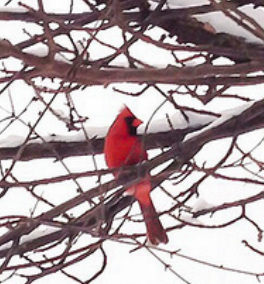 Take some time to really savor the beauty of the Winter season. Then, pull out your camera or phone and take a picture to take back with you out of the cold! "Ice fishing has an allure all its own. Some say it's peaceful. Some say it's relaxing. Some say it's invigorating. Most say it's crazy. But there is nothing like walking on a frozen lake, carving a hole and pulling up elusive fish from the mysterious depths below. Pennsylvania state parks have many lakes for you to find the ice fishing hole for you." Be sure to follow all rules set forth by the park in which you fish and the Fish and Boating commission. The PA DCNR website also lists important safety rules for keeping you and your loved ones safe out on the ice. With wind in the sail, boating on the ice is Fun both to do and to watch! 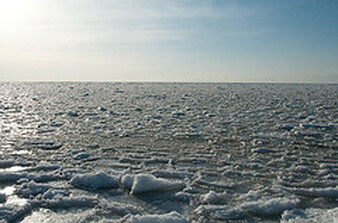 Cold temperatures and smooth ice free of snow make for ideal ice boating conditions. So, a windy, chilly winter day is the perfect day to get out of the house and onto the lake. You can learn more about ice boat theory, design, and history through the Erie Yacht Club website. Scavenger hunts are a fantastic way to get out and explore the beauty of nature. Bundle up and set out looking for pine cones, beach glass, sea shells, feathers, pebbles, and other frozen treasures. 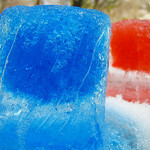 For a fun twist, color ice cubes from your freezer using Kool-aid or food coloring. Then hide them outdoors like snowy festive Easter eggs. In your own backyard or local park. Just be sure to observe the park's rules for visitors. Golf requires a smooth, steady surface on which to swing and land your shots. Sure, mowed summer grass works well for this purpose, but why now crisp white snow? Gather some friends, dress warmly, and defy the winter chill with this new take on a warm weather game. In your backyard or check with your local area golf course. Find one near you with this helpful listing. Follow traditional golf rules by digging holes in crisp snow, compete for the longest drive, or make up your own seasonal rules. Just be sure to use colored golf balls so that you can find them in the snow. Snowmen are the mascots of winter. 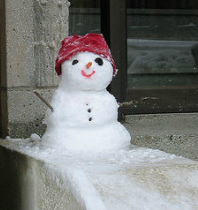 With a little packing snow, a warm pair of mittens, and some creative extras you can make fun and friendly snowmen. 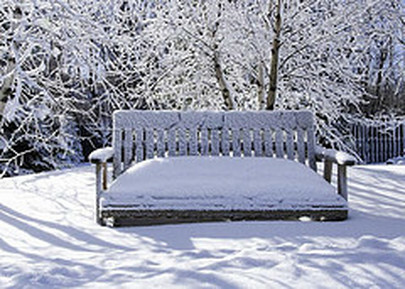 Enjoy playing in the snow alone or with groups of any age. 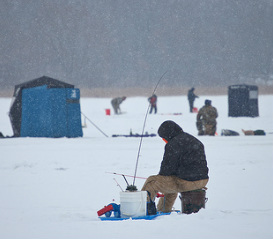 Make sure to check the Winter Report for information on current ice and snow depths before setting out on your outing! Creative commons photos by Cindy Who, Bob Aubuchon, Alexa Clark, Ken Lord, Tom Gill, Cathy Stanley-Erickson, John Morris, Silviya Rankova, OldOnliner, Edward Chan, Jeremy Bronson, Susie Blackmon, 8 Eyes Photography, and Jonathon Colman. Other photos courtesy of Karen Coughlin and www.visiterie.com.